The cyber squatter and domain squatting types are on their way out ??? 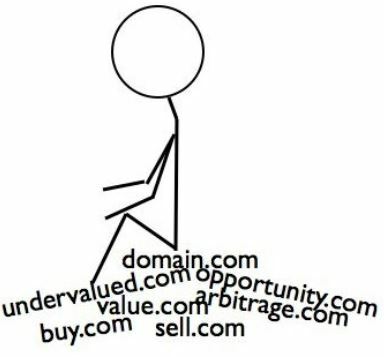 Remember the good ol' days when you could buy a domain and basically sit on it until you were paid what you wanted for it ? Well those days are coming to an end. What I'm referring to is the localization of domain names. It's no secret that droves of people did this.. buying up all the TLD's (top level domains) you could afford and just park them somewhere and sit on them for however many years you could continue to pay to remain the registrar. The bottom line here is that these domains will be reassigned based on the address of the registrant to provide more access to small businesses to be able to grow and expand in a more natural sense on the web. Lets be serious.. if there's a name that suits your business and the registrar wants $50,000 for it, who can afford that ? So what will end up happening with this change is that two businesses that are similar in nature will now be able to effectively operate under the same name using localization. This roll out should be complete by 2018, but you will start to see evidence of this change in 2016.. or maybe considering the date of the post, this could just be a really scary April Fools Joke !